The way we approach social signals and SEO has changed over time. In 2010, Search Engine Land’s Danny Sullivan talked to the guys behind Google and Bing about the impact of social signals on SEO rankings. The answer was positive- the links you share on social networks may impact your rankings. Back then, Google’s Matt Cutts referred to Sullivan’s article and confirmed the same. However, just a few years later, Cutts published another video, where he claimed that social signals do not impact SEO. And, this was once again confirmed by Google’s Garry Illyes. Still, just because social media is not a ranking factor doesn’t mean it cannot impact your rankings in the SERPs. Social networks are still an integral part of your SEO strategy that can, either directly or indirectly, boost your rankings. In the abovementioned interview, Bing emphasized that they look at the number of times a piece of content has been shared on Twitter, as well as the authority of users that shared that link. Google, on the other hand, claimed that they don’t use that information for the general web search. But, both search engines emphasized that the authority of a person that shared a link tells them whether the link should carry more weight. Simply put, search engines maybe don’t consider social signals when ranking your site, but a quality social link shared by an authoritative resource will be considered credible and may impact your rankings. When entering the SEO waters, you need to understand the difference between link building and link earning. Namely, link building includes using different tactics such as guest blogging or broken link building to build high-quality links to your site and boost your backlink profile. And, given that backlinks are still one of Google’s most important ranking factors, it’s not surprising that link building is considered one of the most important SEO practices. On the other hand, link earning is a form of link building that relies on the quality of your content. And, the „How to Drive Traffic to Your Site?“ post by an SEO agency from Hong Kong backs me up on that. Namely, they highlight valuable, evergreen blog posts as the main method of earning amazing backlinks. Namely, your goal is to create highly relevant, viral, and adorable content people cannot help sharing. Every blog post you sign needs to be well-researched, helpful, backed up by relevant data and, above all oriented towards the hottest industry news. Most importantly, this content needs to be engaging. Not everyone likes to read lengthy articles. To engage your visual audiences, you should also create infographics, graphs, memes, gorgeous photos, videos, quizzes and similar forms of interactive content. The next step is, of course, to promote that killer content on social networks. This means building a solid social media calendar and knowing exactly when and what to post. By sharing your posts consistently across the right social media channels, you will prove how credible and authoritative you are. Above all, once they notice the value your content bring to them, social media users will start coming back to your profile for more tips and share your content extensively. Unsurprisingly, the growing number of your social media shares will also make your content visible to the authority figures in your niche. If they find your content relevant, they will want to share it on their profiles and link back to them in their blog posts. And, just like I’ve already mentioned, links from reputable sites + social shares by authoritative people in your niche = higher rankings. Social media feel more personal than your website. They give you the opportunity to show the human side of your brand, express your brand values, and build personal customer relationships. Moreover, they build trust with your customers. So, before they even decide to buy from you, many customers will first visit your Instagram or Facebook page to see user-generated content and testimonials, understand what average customers feel about you, and check your reviews. Of course, Google considers social media highly authoritative and relevant and ranks them high in the SERPs. Search for any famous brand on Google and you’ll see that their social media profiles rank right after their site. While writing this article, I googled “Nike” and here is what I found. Their Twitter account showed up as the third listing. Their Facebook page was sixth, while Instagram took the eighth position in the SERPs. And, appearing high in the SERPs, social media will increase your brand visibility, generate more clicks, and drive qualified traffic to your site. I don’t know about you, but I use the verb “google” at least once daily. Over time, Google has risen high above Bing, Yahoo, and other search engines, becoming synonymous with online search. For a great majority of online users, it has become the most popular go-to place for finding answers for basically any question that crosses our minds. In 2019 and beyond, the big G will definitely stay the king of search engines. However, it is far from being the only search engine you should focus on. Namely, for years, people were searching for brands and products directly from Google’s homepage. But, the rise of social networks, voice assistants, and Q&A sites has changed that trend. Just like Ahrefs’ Tim Soulo emphasized recently, almost any platform with search functionalities is basically an independent search engine. 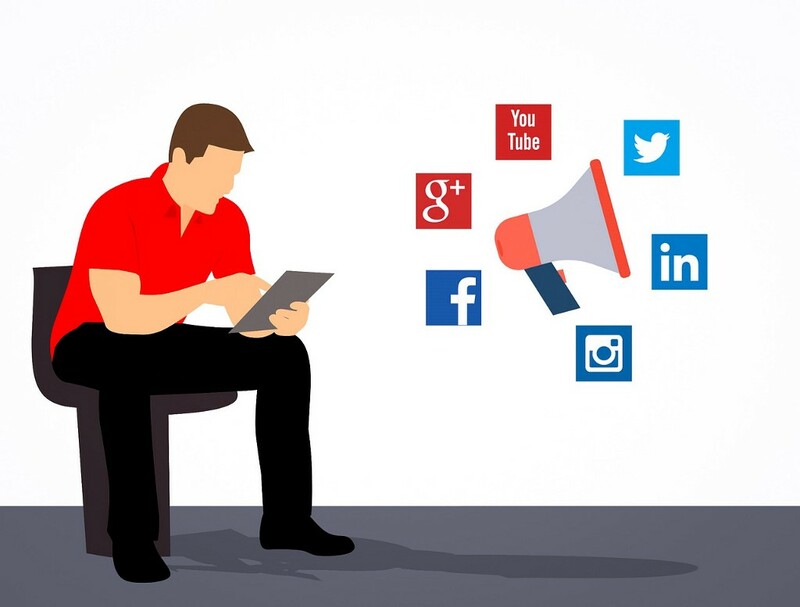 And, not expanding your online presence towards social media channels and adapting them to your searchers’ needs, you will start lagging behind your rivals and fail to expand your online reach. We cannot know whether Google will change its mind and start using social signals as a ranking factor. However, what we can conclude right now is that social media can impact your SEO strategy both directly and indirectly. They increase your brand awareness, boost your online reputation, and help you earn loads of amazing backlinks. Most importantly, social media and Google have a shared goal- to make your brand more approachable to a user and entice them to click on your link and complete the purchase. These are all factors Google takes into consideration when ranking you. How Social Signals Improve Search Engine Rankings was originally published in Marketing And Growth Hacking on Medium, where people are continuing the conversation by highlighting and responding to this story. Biz Tips: What Are Meta Robot Tags?